Jan van der Vaart (1647-1721). Artist associated with 52 portraits. 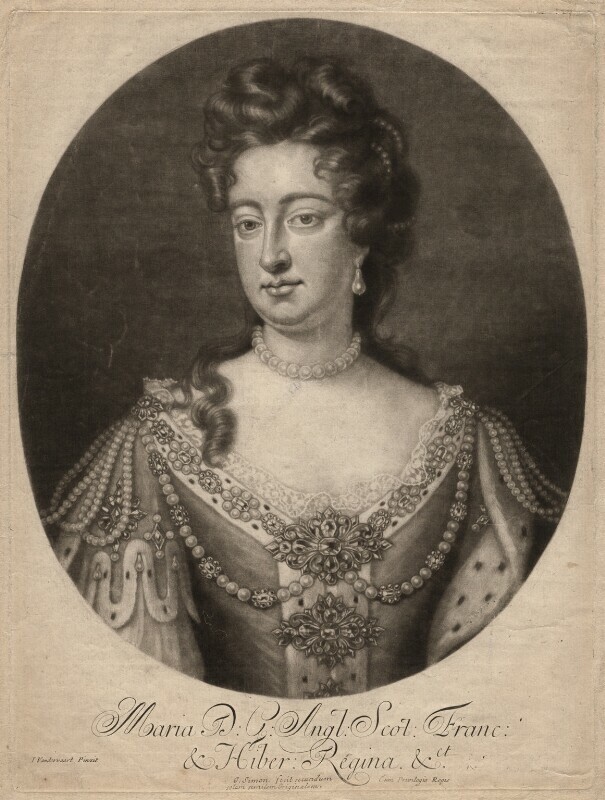 William III, forced to leave England to fight in Ireland, empowers Mary II, through the Regency Act, to exercise authority in his absence. William, however, unwilling to rest power solely with Mary, appoints a council of nine statesmen directly answerable to the absent king. Philosopher, John Locke, publishes An Essay Concerning Humane Understanding and Treatises on Government, in which he sets out his notion that human understanding is derived from experience. Naturalist, John Ray, publishes Synopsis methodica stirpium Britannicarum. It became the most consulted book for the classification of British plants. William III lands in Ireland with an allied force of Protestant fighters from European states to fight French and Irish troops under James II. William's victory at the Battle of the Boyne forces James to flee into permanent exile. French defeat the English at the naval battle of Beachy Head.